A couple of days ago, GOG.com, stalwart purveyor of classic computer games that have been tuned to run on modern systems, started teasing the arrival of a “new gaming publisher.” Meddling fans quickly undermined this campaign, digging up files on the site that were clearly using Star Wars, Indiana Jones, and Monkey Island-inspired fonts. All signs pointed to Disney loosening its grip on the LucasArts library (acquired when the company bought Lucasfilm), one that’s littered with many of the most fondly remembered computer games of the ’90s, but has remained largely untouched in the last decade as digital re-releases of classic games became common practice. Yesterday, GOG itself accidentally confirmed the arrival of several LucasArts games when the site’s backend system created forum threads for each of the Lucas titles in question—a day before anyone was supposed to know about them. Well, the countdown clock has finally ended, and yes, GOG is now selling a handful of LucasArts games. It promises to expand that selection to more than 20 titles in the coming months. The first wave includes the re-releases and remasters that were already easily available, like Indiana Jones And The Fate Of Atlantis and the recent special edition of The Secret Of Monkey Island. 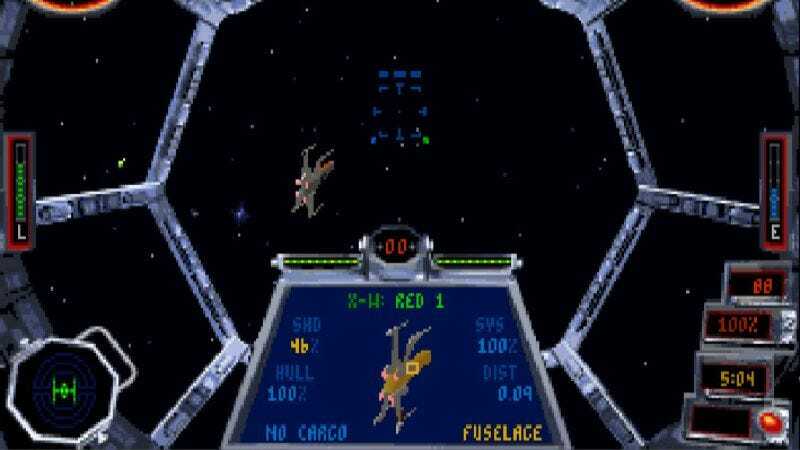 Still, there are three high-profile games in this bunch that are being made available digitally for the first time ever: The Star Wars space-battle simulators X-Wing and TIE Fighter are being sold for $10 each and include their respective expansion packs. The madcap cartoon adventure Sam & Max Hit The Road, which Gameological covered in an On The Level back in the day, will run you $6.